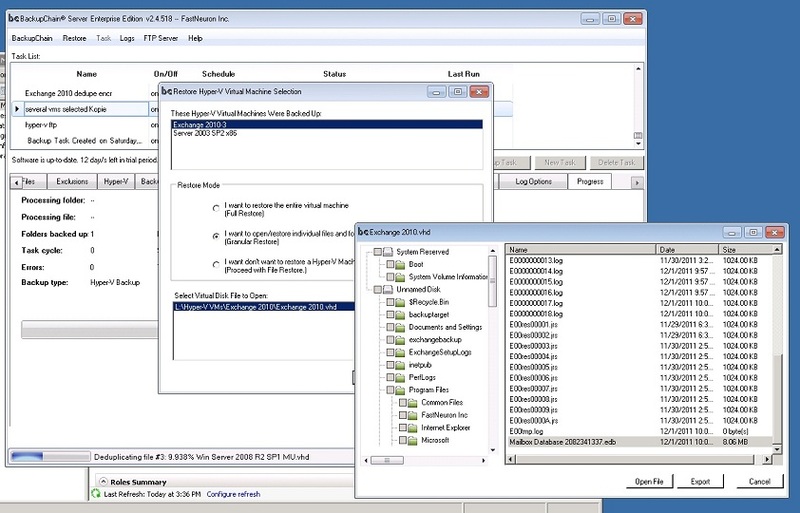 The BackupChain toolset includes a fully automated Hyper-V backup tool with dozens of features that give you total control over what and how backups are done. These features help you set up efficient and fine-tuned backups, exactly the way you need them to be, using open standard formats. BackupChain backup software became the most versatile backup solution used by notable organizations worldwide, for a reason. 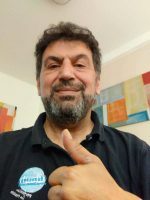 BackupChain offers Hyper-V host disk backup as well as unlimited virtual machine backup on Hyper-V Server and Windows Server 2019 – 2008 as well as Windows 10 / 8. You can back up the host’s disks as a disk image to protect your host’s operating system and the virtual machines on it can be backed up separately and individually helping you implement a complete and efficient disaster recovery strategy. Unlimited host as well as virtual machine backup with one license and Cluster Shared Volumes (CSV) support. Switch to HD quality and full screen for best video quality. See in-depth info below for an overview of BackupChain’s virtual machine backup features. One license of BackupChain backs up an unlimited number of Hyper-V virtual machines on a single Hyper-V host. Unlike other tools, you don’t need to purchase additional licenses for VMs or CPU sockets. BackupChain runs on all Windows Server 2019, 2016, 2012 / R2, and 2008 / R2, and also offers Hyper-V backup in Windows 10 and Windows 8. 2. 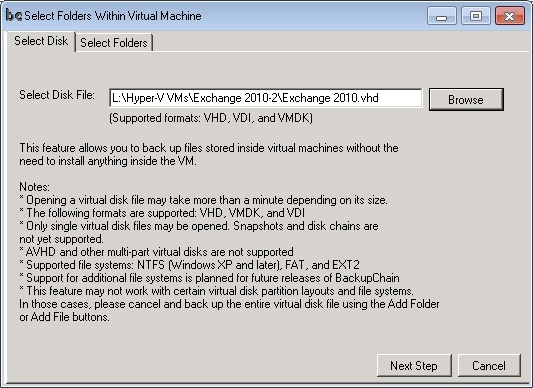 Virtual machine based / Automatic Hyper-V backup: You select the virtual machine from a list and BackupChain configures the task automatically. See this Hyper-V guide for more information on how to back up Hyper-V guests. BackupChain supports Cluster Shared Volumes, failover cluster, and sequential backup. The “sequential” option ensures your server’s resources are only used to a minimum by backing up one virtual machine at a time. This is important when you have a production system with dozens of VMs and want to minimize the system impact of your backups. Snapshots are included in backups and correctly restored even on new hosts. To restore a backup of a Hyper-V VM, simply select it from the restore screen and press ‘Restore’. You may also use the clone virtual machine feature, which is enabled by default. Note, you may back up VMs to a local folder, external drive, a network share, or via FTP using an efficient deduplication algorithm which dramatically reduces processing time, bandwidth, and space requirements. On average you can expect to fit 18 versions of a 1 TB virtual machine in a 4 TB (that is actually 3.6 TB) drive; i.e. 5 times more. Whether you store your backups to USB, a high-quality RAID array, or the cloud, the storage savings deduplication and compression achieve are enormous. Moreover, technical support is included in your license. Apart from saving you money, we also can help you get your backups set up quickly, and exactly the way you want them to work. You only need to install Hyper-V Integration Services (shipped with Windows). There is no need to install anything inside virtual machines; all features work from the host, including the Granular Backup feature described below, which is part of BackupChain Server Enterprise Edition. Virtual machines may be restored anywhere: On new hosts, or on the original host in a side-by-side configuration. Name clashes are automatically avoided using BackupChain’s clone function when restoring (this is the default option). BackupChain includes a crucial feature missing from many other tools on the market: the ability to run tasks in sequence, one by one rather than all simultaneously. Running tasks sequentially dramatically reduces stress on your host server; however, BackupChain also includes a simultaneous option so you can protect several virtual machines consistently to get a true, multiple-machine point-in-time image. Even though Microsoft strictly recommends against the use of Hyper-V snapshots on production systems, you can back up and restore snapshot chains even to new servers (of similar CPU architecture and Windows version). restoring the entire Hyper-V virtual machine. BackupChain Server Enterprise Edition includes two unique features: Granular Backup and Granular Restore on all modern virtual machine platforms. Granular Backup is an innovative new Hyper-V backup feature that allows you to back up individual files residing inside a virtual machine, but from the host and without the need to install software inside the virtual machine (agentless). You simply run BackupChain on the host and select files or folders inside the virtual machine’s file system and BackupChain takes care of the rest. BackupChain will only involve those virtual machines you select. By protecting only the virtual machines you need, BackupChain reduces the load on your server. Note: Both Granular Backup and Granular Restore are only available in BackupChain Server Enterprise Edition. 1. On Microsoft Hyper-V Server 2016, Microsoft’s free server operating systems. 3. 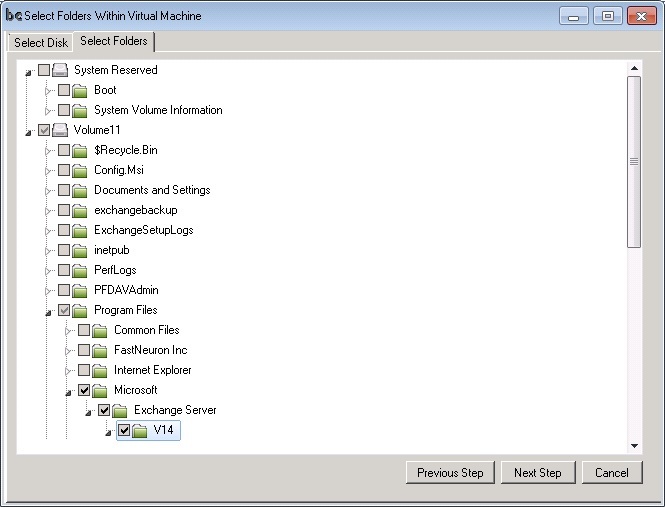 On all Core installations of Microsoft Windows Server 2019 – 2008 with Hyper-V role installed. (Full GUI available in Core installations). 4. On all installations of Hyper-V Server 2019 – 2008 with Hyper-V role installed. (Full GUI available in Core installations). BackupChain Server Editions support Cluster Shared Volumes as well as attached SAN and iSCSI drive protection. machine on a Gigabit network. BackupChain supports all these as well as FTP and FTPS targets to enable data centers to move their virtual machines offsite without sacrificing performance. In some data protection tools “incremental backups” mean that the program will only process files that changed; however, in the case of virtual machine duplication, the files are so big that it is not an option to retain a full copy of each VM at each backup cycle. BackupChain contains proprietary in-file delta compression technology to ensure data copies use only minimal amounts of space. This form of compression reduces the load in the target store but it also reduces bandwidth requirements because only the actual change within the VM is stored. This is why BackupChain is perfectly suited for remote backups, even via FTP. Because BackupChain’s backup technology does not require a local history of VMs from previous cycles, your servers can run on minimal equipment. This advantage is crucial to transport incremental and differential backups over the Internet. Data compression is standard feature in most data protection programs; however,when it comes to large file backups, it is necessary to provide the best compression rate within a reasonable amount of time. In order to keep the processing time to a minimum, optimal resource usage is necessary. BackupChain offers full CPU utilization as a standard feature without CPU or CPU core number limitations. BackupChain compresses and encrypts files (optional) with AES-256 (HIPAA compliant encryption) and utilizes all CPUs and CPU cores simultaneously. This technology draws the highest possible data rate from your RAID controller. BackupChain is equipped with a flexible scheduler that permits complex schedule settings and concurrent execution. This feature of BackupChain allows administrators to utilize their resources to fullest extent possible and create protection tasks at complex intervals as needed. BackupChain is the only data protection program on the market with a built-in FTP server and client, which are the building blocks needed to quickly set up an efficient remote replication system. Hyper-V VMs can thus easily be backed up and restored offsite over the Internet at a remote location without the need for additional software. Administrators concerned about security can switch on the military-strength encryption feature and transmit over FTPS as an option. Maryland, USA and may be contacted by email, live chat (use link in top menu), and phone ( 1-800-906-5150). BackupChain offers the same user interface on full as well as on core installations of Windows and supports Cluster Shared Volumes, iSCSI, and SAN. It offers deduplication support, an advanced scheduler, FTP support, and many additional features to cut processing time and reduce storage usage. BackupChain also includes Granular Backup, an innovative new technology which allows you to selectively back up files residing in virtual machines from the host without installing agents. You can install BackupChain on Windows 8, Windows 10, Windows Server 2019 / 2016 / 2012 / R2, and Core Environments, such as Hyper-V Server 2019 where BackupChain provides a full user interface. U.S. technical support for BackupChain is available (9 AM – 5 PM ET) by phone, email, and live chat; a 24/7 support option is also available 24/7 for premium license holders. Download a full function 20 day trial of BackupChain Backup Software from our download page, and start your backup within minutes! I love your software. So nice to have backup software that actually works!